A big “thank you” goes out to Jocelynn Brown of the Detroit News for helping us spread the word about the Holiday Market. 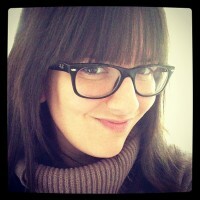 Make sure to bookmark her craft blog- she’s “in the know” about crafty things happening all over the Mitten. 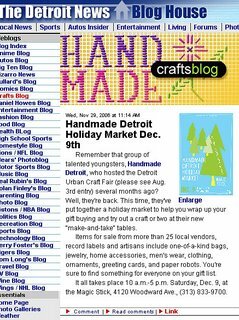 I second the bookmarking … the blog is a great resource for Detroit crafters. Plus, she’s always giving away really neat stuff!